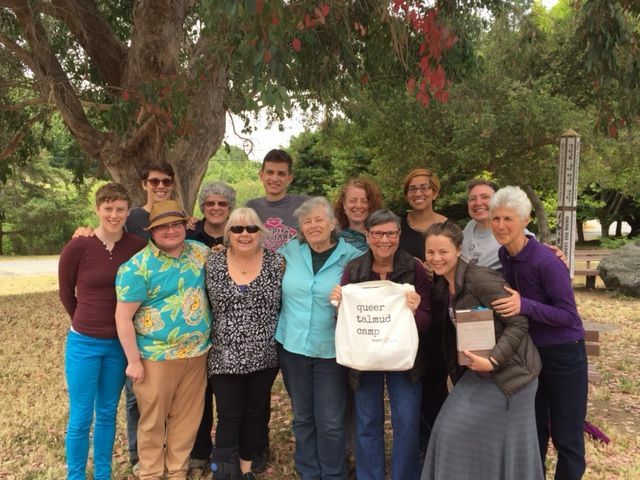 Kehilla was well represented at Queer Talmud Camp which took place at Walker Creek Ranch July 3rd through 7th. Rabbi Benay Lappe’s remarkable (QUEER) approach to teaching Talmud was amazing to experience! *continue their very deep and established relationship with our ancient teachers, not for the first time by any stretch. Did I mention there were NO English translations anywhere to be found? And we all were challenged and thrilled and eager to return. Think about it! . . . And stay tuned for information about next year’s camp! You can learn more about it here: http://www.svara.org/queer-talmud-camp/.